Save at least 20% this April and May. Book by 6 May. Travel between 10 April and 6 May. 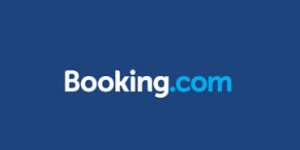 Booking.com, Planet Earth's #1 accommodation site, guarantees the best prices for any type of property, ranging from campsites to five-star luxury properties. Big savings on hotels in 94,000 destinations worldwide. Browse hotel reviews and find the guaranteed best price on hotels for all budgets.